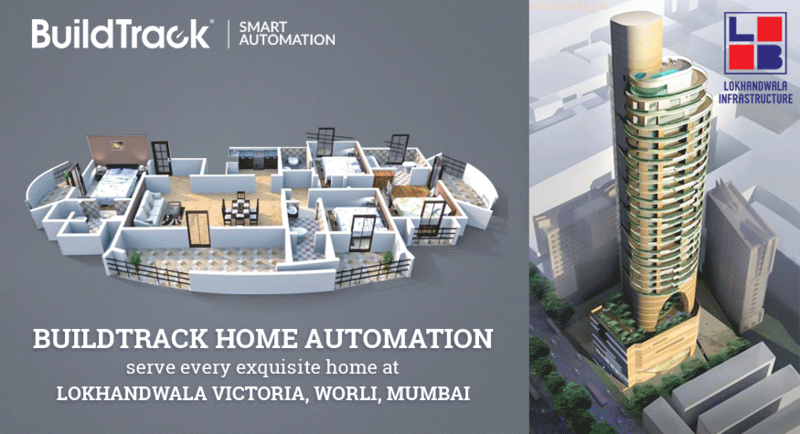 BuildTrack Smart Automation has been chosen by Lokhandwala Group for its project Victoria situated in Worli. The project is an exclusive 44 storied tower that offers 4BHKs and Penthouses is the personification of luxury living in Mumbai. Lokhandwala has developed several prestigious projects in Central & South Mumbai and Dubai, covering over 30 million sq. ft.
BuildTrack automation proposed in Victoria apartments includes lighting control on smartphone/tablet, safety security sensors like Gas sensor, Panic button etc., India’s first Video door phone system with apartment to apartment video calling facility is also a part of the package. Motion controlled lighting is provided in all lift lobbies. BuildTrack is also offering centrally managed surveillance system and RFID based vehicle entry exit system in the project.